Please join us at the Bonnyville Friendship Centre on Friday October 28 between 10am and 2pm for Indigenous Cultural Day. Everyone welcome to this no-school Friday event. There will be bead making, dream catcher making, mini teepee building, bannock making, traditional dance and drumming. Sessions will begin on the hour, attend one or all. Soup and bannock served at noon — FREE admission. 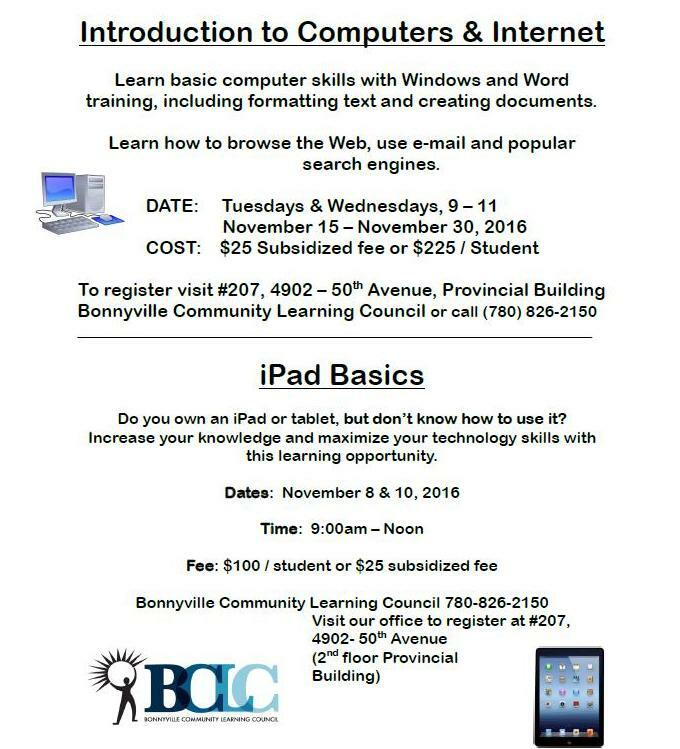 Brought to you by the community partners: BCNFC, Bonnyville Community Learning Council and the Dove Centre. If you know someone who could benefit from a basic computer course please send them our way. Subsidies are available for seniors, those with financial barriers, and those looking to gain these skills for employment. New computer classes begin November 15 and run for 5 mornings. Call us at 780-826-2150. Our 2-mornings iPad session begins November 8. We are very proud to announce that we were the winners of the 2016 Outstanding Not for Profit Award as presented at the Lakeland Business of the Year Awards last Friday. We would like to thank those who nominated us, and most of all the students, volunteers, teachers and board members who all contribute to our success as a not for profit agency. 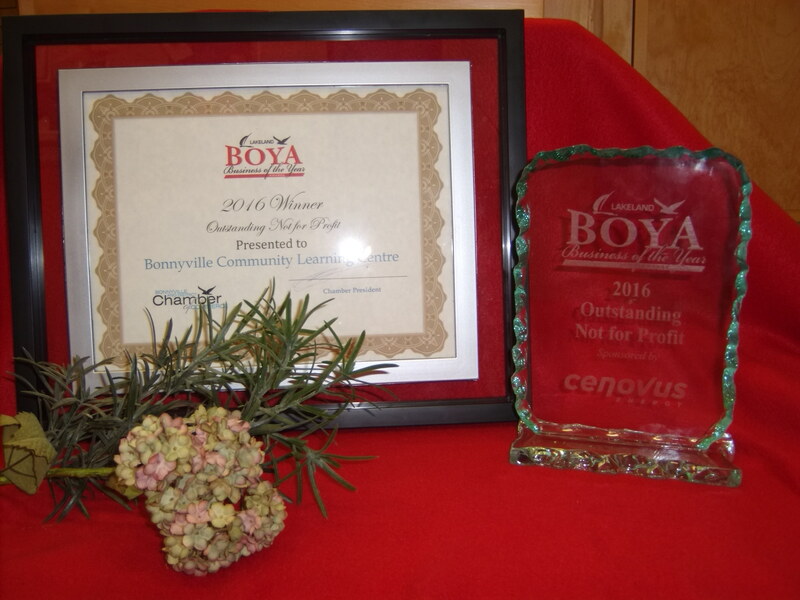 Bonnyville Community Learning Council is pleased to be able to offer learning opportunities for adults in our area, and we are grateful for the recognition.